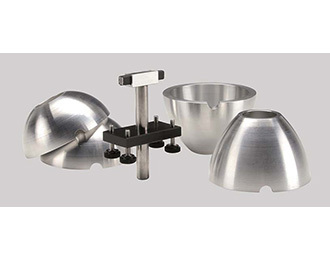 This kit comprises two pairs of shell-shaped targets and a central holder with adjustment screws and lead absorber. Can be purchased separately or as part of the Complete Compton Scattering. The Compton Scattering Kit (SF-7224) is a component of the Complete Compton Scattering (SF-7277).